What’s the big deal about GMOs and why such bill? The absence of independent scientific studies on the long-term effects of a GMO based diet over human health. GMO seed makers (Monsanto, Syngenta, Dow Chemical, Dupont…) have no interest in helping with uncovering possibly alarming results so they refuse to provide / prohibit use of their proprietary seeds. From an environmental perspective, GMO crops are bound to high use of pesticides, which contributes to the pollution of the land and depletion of the soil, making it harder to cultivate it (industrial GMO crops are mono-crops, so there’s no rotations, hence no soil regeneration). There’s no GMO labeling law in the U.S. Based on short term data and a “no harm proved” approach (as opposed to “no proof of no harm” in 60+ other countries in the world, who outright ban production and sale of GMOs or have major restrictions in effect), GMOs were deemed safe and got approved for human consumption. 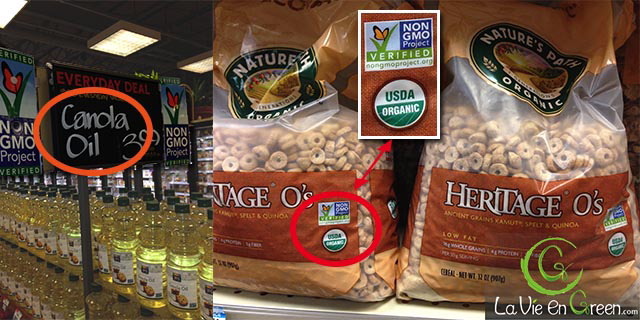 And with no on-pack labeling, most consumers don’t even know they’re eating genetically modified foods. Indeed, some GMOs like soy, corn, sugar beet and canola are sold as such, but they’re also part of most processed packaged foods in the form of “hidden” additive ingredients, making it even harder to identify them. 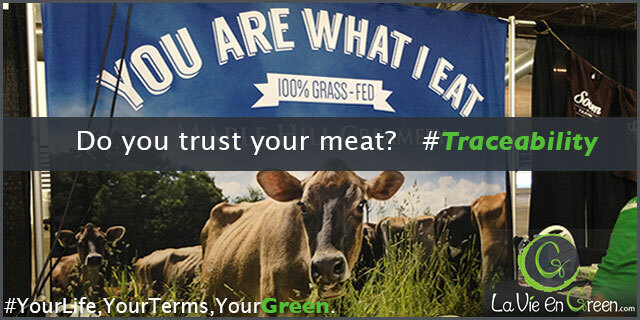 Labeling would at least inform consumers about what’s in any given foods. A fair rule of thumb to go by could be that all non certified organic packaged foods likely contain one or more GMO ingredients. There’s no scientific consensus on the safety of GMOs from the experts. On one end, pro-GMOs argue they have support from many international bodies and GMO seed makers commonly refer to an agreed upon general GMO safety assessment. Just as vocal and on the other end of the spectrum, GMO skeptics say such an aligned point of view does not exist, explain why they do not find GMOs to be safe and are part of a growing list of non GMO-endorsers from the scientific global community. GMO labeling is widely deemed reasonable by the average consumer now. 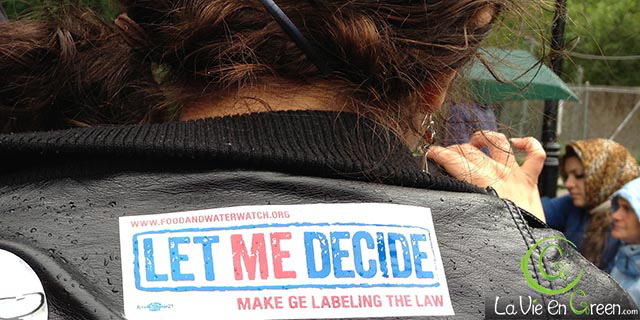 Against GMO labeling side- At the national level, the GMA (Grocery Manufacturers Association) urged policymakers to only support labeling measures if the FDA (Food and Drug Administration) finds any proven health or safety risks, well aware that no such long term study exist, is ongoing, or will be scheduled anytime soon! But more concretely, the anti labeling front is also toughening its use of lobbying and political powers to keep the advantage on the side of GMOs, both nationally and globally. Common private interests have been working together to prepare the uber secretive TTP or Trans-Pacific Partnership, and TTIP or Transatlantic Trade and Investment Partnership. The little information transpiring from these 2 trade agreements is deeply alarming with measures such as GMO labeling prohibition, right for corporations to sue both government and states if laws are deemed profit unfriendly, and a specific role for the TTIP, to focus on the European Union’s pretty strong anti-GMO laws. With even China now refusing to purchase U.S. GMO crops, new outlets are needed to make use of all the national acres used to grow GMOs… [separator top=”30″ bottom=”30″ style=”single”] All eyes are watching Vermont and the first next step: the signature of its long time GMO labeling supporter, Governor Peter Shumlin. [separator top=”20″ bottom=”20″] At the end of the day, labeling GMOs is a simple, basic request, in line with our right to know what’s in the food we may, or not, consider purchasing. So why all this pushback from big companies, really? 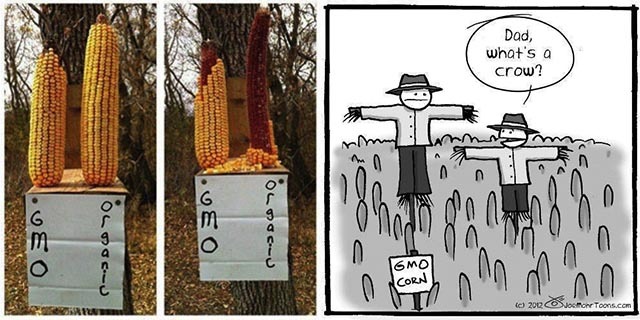 Could it be that what is in GMOs is not as safe for human health as loudly conveyed by their makers? Could they know things we would want to know before we give them our dollars?